Intermarriage has long been one of the most contentious issues in modern American Jewish life — and arguably one in which communal attitudes have changed most dramatically in recent decades. Outside the Orthodox community, it is increasingly common — and accepted — for American Jews to marry partners from different faith backgrounds. “Marrying out” was once widely seen as a rejection of one’s Jewish identity, and the ultimate taboo. Time was, some parents cut off contact with children who intermarried or even sat shiva for them, the ritual observed when a loved one dies. A famous example of this is in the musical “Fiddler on the Roof,” when Tevye shuns his daughter Chava for marrying a Russian Orthodox Christian. Today, many American Jewish parents welcome non-Jewish sons- and daughters-in-law, and significant numbers of non-Orthodox rabbis officiate at their weddings, though the Conservative movement still bars rabbis from doing so. Growing numbers of intermarried Jews remain engaged in Jewish life and raise their children as Jews. The situation outside the Jewish community has changed as well. While anti-Semitism and a broader culture less open to interfaith and interracial marriage once prevented earlier generations of American Jews from intermarrying in large numbers, today interfaith and intercultural marriages of all kinds (not just ones involving Jews) are more common, with a 2015 study reporting that almost 40 percent of adults who married in the previous five years have a partner of a different faith. Intermarriage became a major topic of American Jewish concern in the 1980s and ’90s, as high-profile demographic studies showed that the rate of Jews marrying non-Jews had escalated dramatically. In particular, the 1990 National Jewish Population Study, which reported that 52 percent of American Jews were intermarrying (later analysis indicated that the more accurate number was 43 percent), sparked much discussion about Jewish continuity and whether the Jewish population in America would all but vanish by assimilating into the larger culture. In the two decades following the study, many communal leaders debated the merits of reaching out and welcoming the intermarried, versus focusing on in-married Jews. In addition, the study sparked a wide range of Jewish education initiatives that were aimed at strengthening Jewish identity — and that were often touted as keys to preventing intermarriage. In particular, many philanthropists and federations invested in Jewish day schools, summer camps, campus Hillels and, perhaps most notably, the Birthright Israel program, which offers free 10-day trips to Israel. In the aftermath of the 1990 study, rabbis and other leaders debated how best to respond to the large numbers of already intermarried Jews and their children. Many, particularly in the Conservative movement, feared that officiating at interfaith weddings, accepting interfaith families or permitting intermarried Jews to hold leadership positions, were all tantamount to condoning intermarriage — and would only encourage more Jews to intermarry. While some leaders suggested that Jewish leaders be more aggressive about encouraging non-Jewish partners to convert to Judaism, others countered that such policies would alienate many people. In addition, while opponents of intermarriage pointed to statistics showing that intermarried Jews were less likely to raise their children within the faith, and were thus shrinking the ranks of the Jewish community, others argued that the intermarriage taboo and the perpetual hand-wringing about intermarriage were driving intermarried families — and liberal-minded young Jews — away, becoming a self-fulfilling prophesy. Another hotly debated issue concerning intermarriage is that of “patrilineal descent,” or the status of children who have a Jewish father and non-Jewish mother. While Jewish law stipulates that one must have a Jewish mother or undergo a conversion in order to be recognized as Jewish, the Reform movement in 1982 announced it would recognize as Jewish all children of intermarriage raised Jewish, regardless of the religion of the mother. The Reconstructionist movement adopted a similar policy three years earlier, in 1979. Neither Orthodoxy nor the Conservative movement accept patrilineal descent, and the Chief Rabbinate of Israel does not recognize “patrilineal” Jews as Jewish. (While such Jews are eligible to immigrate to Israel under the Law of Return, which requires only Jewish ancestry, they face challenges marrying other Jews, being buried in Jewish cemeteries and with other religious issues. For more information on this topic and help navigating these issues, click here.) The differing views over “who is a Jew” mean that “patrilineal” Jews who wish to participate in more traditional Jewish communities, marry more traditional Jews or immigrate to Israel often undergo formal conversions. In addition, even within the Conservative movement, where leaders had spoken out against inter-dating and intermarriage, a 2002 study of alumni of the movement’s Ramah camps found that only 30 percent dated only Jews. READ: The War Over Intermarriage Has Been Lost. Now What? By the second decade of the 21st century, many observers were suggesting that the intermarriage wars were over, and that intermarriage had won. To be sure, opposition to intermarriage remains, particularly among more traditional Jews who believe it violates Jewish law and threatens the Jewish future. While many Reform and Reconstructionist rabbis officiate at interfaith marriages, significant numbers do not, and few rabbis co-officiate with clergy of other faiths. While a growing cohort of rabbis within the Conservative movement are seeking ways to welcome intermarried couples, their movement still bars them from officiating at interfaith weddings. 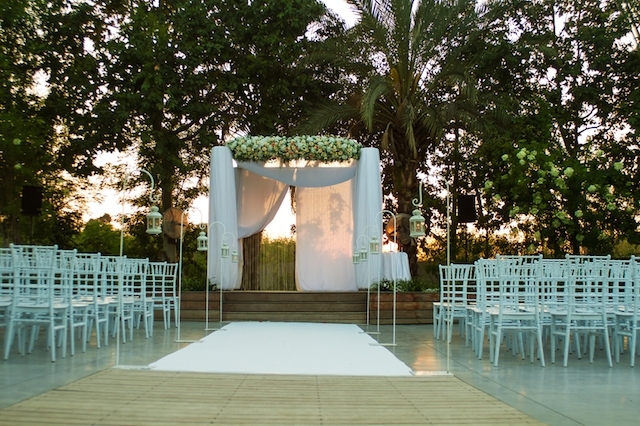 Orthodox rabbis do not officiate at interfaith weddings. While some demographic studies continue to emphasize the dangers of intermarriage to Jewish continuity, others have pointed to more positive trends for the Jewish community — in particular, an analysis of the Pew Research Center’s 2013 study on American Jewish identity finding that significantly more adult children of intermarriage are choosing to identify as Jewish now than used to — and, as a result, over the past two decades intermarriage may have “contributed modestly” to a Jewish population increase. 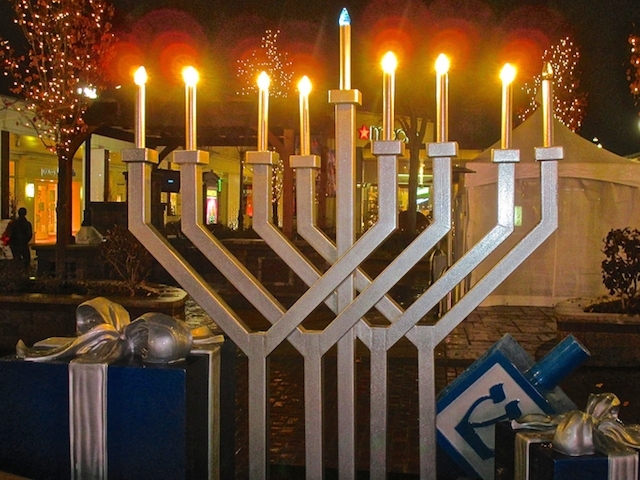 Today most non-Orthodox synagogues and other Jewish institutions say they welcome interfaith families and encourage interested non-Jewish spouses to participate fully in their activities, regardless of whether or not they plan to convert. Some restrictions remain — the Reform and Conservative movements will not ordain rabbis who are intermarried, although in 2015 the Reconstructionist movement lifted a policy barring intermarried rabbis. In addition, the Conservative movement still does not recognize as Jewish “patrilineal” Jews — but many rabbis still officiate at bar/bat mitzvah ceremonies or Jewish weddings of such people so long as they first undergo a pro forma conversion. Non-Jewish partners, particularly non-white ones, sometimes report subtle discrimination or Jewish chauvinism in Jewish settings — or find it off-putting when congregants or rabbis assume everyone in the community is Jewish. In addition, not all synagogues allow non-Jewish partners as official members. Regardless of the welcome they get (or don’t get) from the Jewish world, interfaith couples still face some challenges that Jewish-Jewish couples do not as they navigate often emotional questions of how to raise their children and which traditions and holidays they want to observe as a family. Some also experience tensions or pressures from members of the non-Jewish side of the family. As intermarriage has become more common, interfaith families are no longer a minority within the Jewish community, and those who wish to become involved in organized Jewish life face far fewer barriers than they once did. However, this population still faces some unique challenges — and it remains to be seen how high rates of intermarriage will affect the size and character of the American Jewish community over the long term. InterfaithFamily has a variety of services for interfaith couples and families, including help finding Jewish clergy to officiate or co-officiate at intermarriages. Its website contains hundreds of articles and essays about interfaith family life, and its local offices in San Francisco, Philadelphia, Boston, Chicago, Los Angeles, Cleveland, Atlanta and Washington DC offer classes, meet-ups and other events. The Mothers Circle is a class/support group for women of other faiths who are raising Jewish children. While Big Tent Judaism, the course’s creator, is no longer operatings, the group makes its curriculum available for free to local organizations that wish to offer them. Honeymoon Israel offers subsidized group Israel tours for young married couples (under age 40), both Jewish-Jewish and interfaith. The goal is “to welcome all couples with at least one Jewish partner to the Jewish community” and help them connect with other couples who live near them. To find out how a wide variety of interfaith couples are making it work, check out Kveller’s Up Close photo series profiling 20 families.